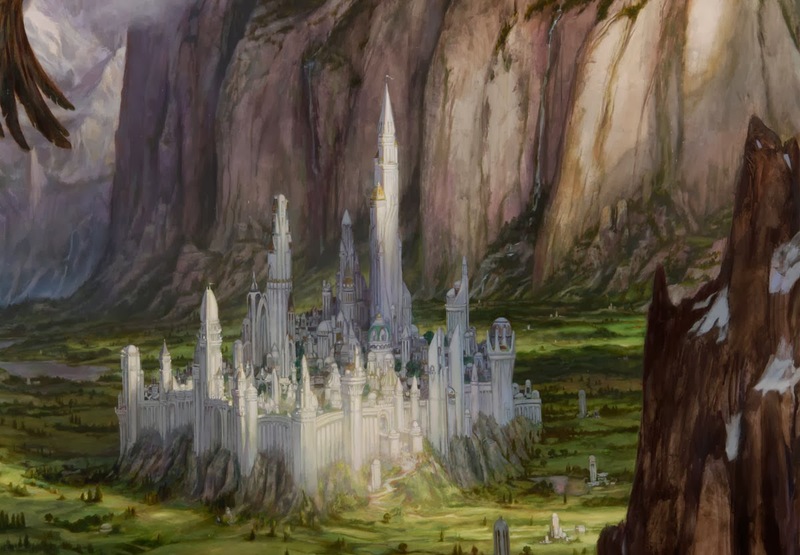 Season three’s main story will the the Tale of Beren and Luthien. It also covers the Union of Maedhros and the Battle of Unnumbered Tears. Some years have been condensed to fit the structure of the episodes better. It covers roughly F.A. 457-472. The episode descriptions begin to get longer, as the stories told are more descriptive in the text. Less original material would need to be created for the next few seasons, mainly only dialogue and a few character scenes. This season is framed by Elrond and Maglor walking along the southern coast of Gondor, during the early years of Gondor’s history. Luthien goes wandering with her friend Daeron in the woods. 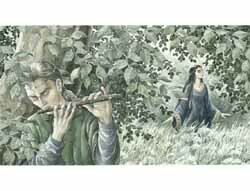 Daeron plays the flute and Luthien dances for him. Luthien knows he loves her, but she does not return his affections. Thingol and Melian speak about a suitable husband for Luthien. Morgoth surveys the realm with Sauron after the death of Fingolfin. Not yet content, he wants to proceed with the invasion of Beleriand. He orders Sauron to attack Minas Tirith. Barahir and his outlaws continue to live in Dorthonion. Finding an orc encampment, they raid and destroy it. At night, they themselves are raided. Several of his men are killed and so only 12 remain. They return to their lair by the Tarn Aeluin. Fingon takes up the seat of his father. Turgon looks over as more and more elves come to his hidden city, while he commands the Eagles to take out any of Morgoth’s servants who come too near. Hurin and Huor talk to Turgon about leaving Gondolin. Turgon agrees if they swear to him an oath of secrecy. As night falls, Orodreth and his people are overcome by fear. Hidden by nightfall, Sauron leads his forces in a surprise attack. Orodreth realises he is vastly outnumbered and flees with the rest of his people. 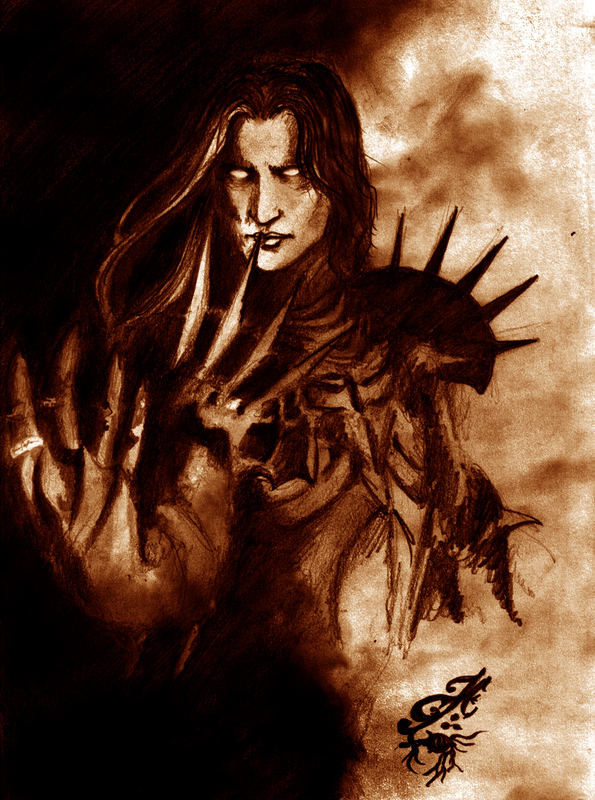 Seeing his numbers bolstered by people fleeing Dorthonion, Maedhros prepares to take back the Pass of Aglon. Adapted from chapters ‘Of the Ruin of Beleriand and the Fall of Fingolfin’ and ‘Of Beren and Luthien’ from The Silmarillion and ‘The Lay of Leithian’ from The Lays of Beleriand. It’s not bad. The hardest thing is creating dialogue worthy of Tolkien. In the current movies, dialogue from the book is many times better than the original dialogue.